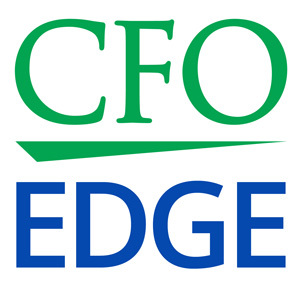 CFO services are a non-traditional and attractive alternative to hiring a full-time CFO. Mindful of lessons from the Great Recession, executives leading growing businesses want to make sure the need, business case and budget are in place before they hire a first full-time chief financial officer. At the same time, they are aware of the many areas in which a CFO can help them improve their businesses: performance, growth, shareholder value, strategy, funding, transactions and more. CFO services are a best-of-both-worlds solution: the high-caliber expertise of an enterprise CFO at a fraction of the cost of a full-time hire. Our CFO services successfully address a broad spectrum of business challenges and provide flexibility in how they are delivered. Professional services delivered by an experienced CFO to executives wanting to resolve financial challenges, reach goals and realize value. CFO services are efficient and cost effective when executives need high-level financial expertise for a specific purpose or period. Drawing on careers as former enterprise CFOs, professionals apply proven financial leadership, advisory, strategy, planning and oversight skills. Business case value is based on contracting authoritative expertise for only the time needed, thereby saving on the costs of hiring a full-time CFO. Executives have an attractive alternative to hiring a full-time CFO. We deliver professional executive services as former enterprise chief financial officer. The salary and overhead of a full-time CFO can be prohibitive for growing businesses, and a CFO partner provides an affordable option by having the advantages of a proven CFO at a fraction of the cost of a full-time hire. Like a full-time CFO, a CFO partner is well-versed in all financial and operational areas. Examples of competencies are shown in our solutions grid. A CFO professional is a great fit when there is a defined need for cost-effective CFO talents. Costs of not acting continue to accrue. Opportunities fade and eventually disappear. Compliance deadlines are put at risk. Engaged for a specific need and period, a former enterprise CFO works with the executive management team to move challenges to resolutions that realize desired value. Where do you want to see greater value? Revenue. COGS. Margins. EBITDA. Profit. Shareholder value. Return on equity. Funding. Cash flow. Efficiencies. Compliance. Employee retention. Customer satisfaction. While all executives share a desire to improve their businesses and grow value, types of desired value and priorities are unique for each. We focus on the value executives want to realize, and the Your Value page provides details on how clients define and measure their value outcomes. Flexible CFO services delivery models ensure the right fit. All our partners bring high-level CFO leadership and solution expertise. Your challenges, goals and requirements inform your choice of a project CFO, a part-time CFO or an interim CFO.